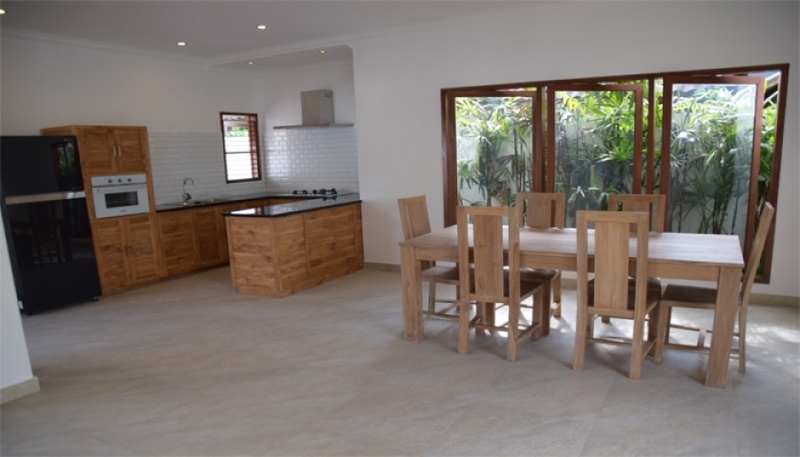 This small and homy 3 bedrooms villa is located in a very quiet area in Canggu, the upcoming trendy site for many visitors in Bali with its bars and restaurants such as Deus, Old Mans, Betelnut & Monsieur Spoon. 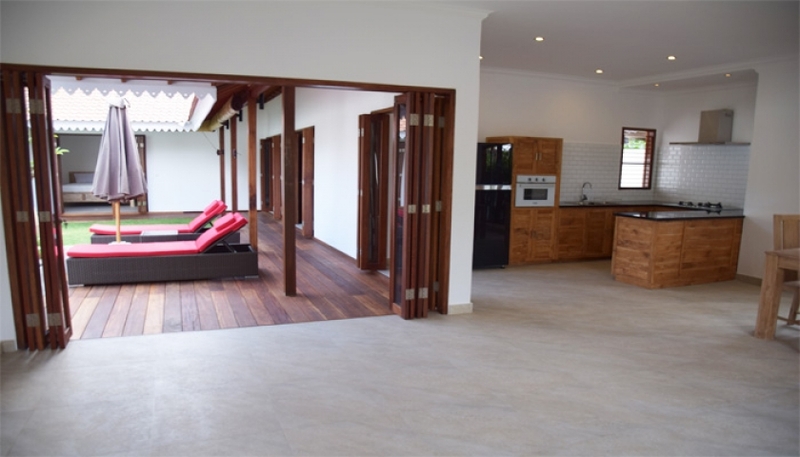 Beach is less than 10 minutes and many eateries nearby, this villa is perfect for your holidays or your investment in Bali. 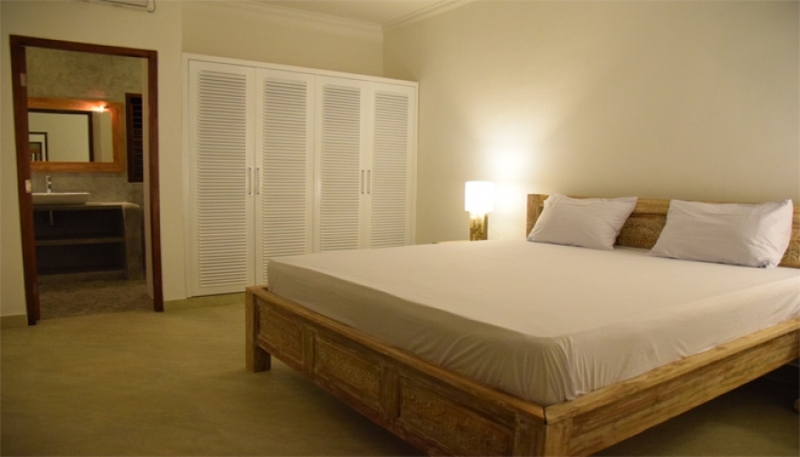 The villa is built in modern style and using good quality woods. 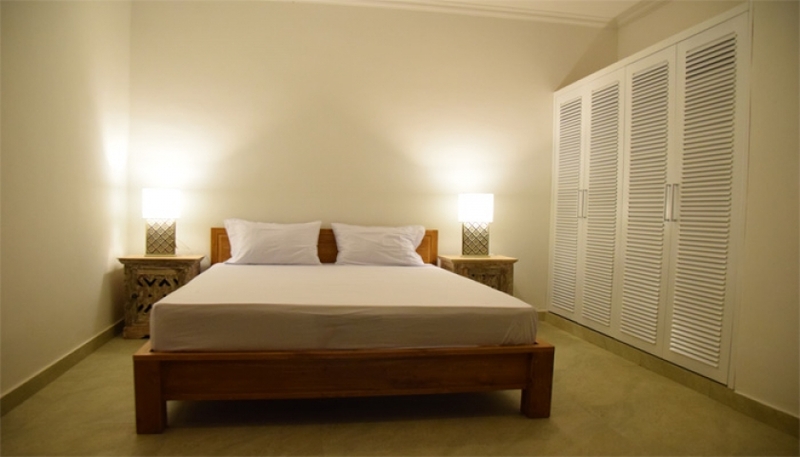 Villa is consist three bedrooms. 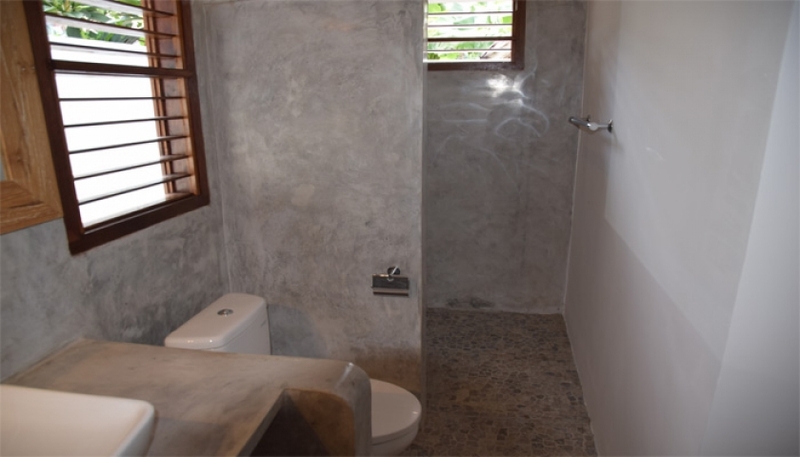 Two of three bedrooms have the connecting door and all three are equipped with the en suite bathroom. 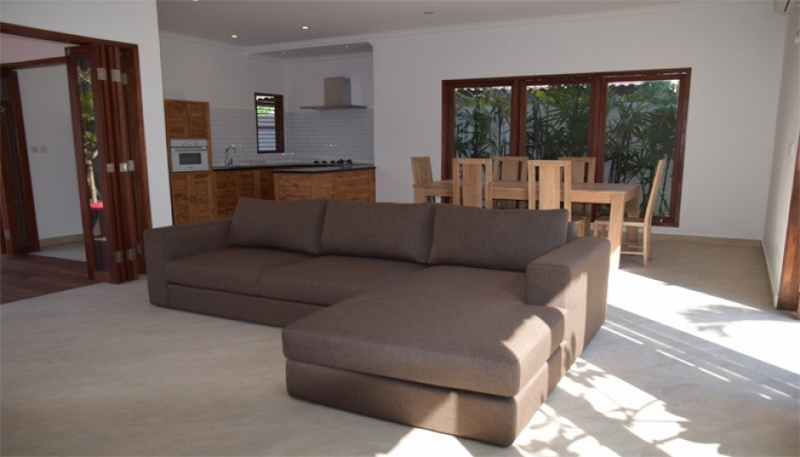 The living area along with the kitchen is spacious and well equipped. The path while entering the villa is bordered by the tropical plants, the staff room can also use well as a stock room. Let yourself relaxed by the swimming pool set up with wooden decking during guests stay in villa.